Dr. Jing Zheng is an attorney in the Intellectual Property Practice Group in the firm's Silicon Valley office. Dr. Zheng serves clients in preparation and prosecution of patent applications and office action responses. As an engineer-turned-attorney, Dr. Zheng's extensive technical background and industrial experience enable him to advise an IP issue from a tech insider's perspective. Dr. Zheng possesses technical expertise in diverse areas including semiconductor manufacturing process, semiconductor devices, industrial software development, digital and analog circuit design, and mathematical modeling and verification. 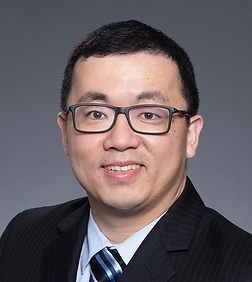 Prior to entering law practice, Dr. Zheng worked as a software/algorithm engineer in Silicon Valley companies where he was responsible for the design and implementation of software algorithms for semiconductor inspection tools, such as reticle inspection and wafer inspection system. Dr. Zheng has extensive research experiences in latest engineering technologies, and his works have been presented in numerous journal and conferences.